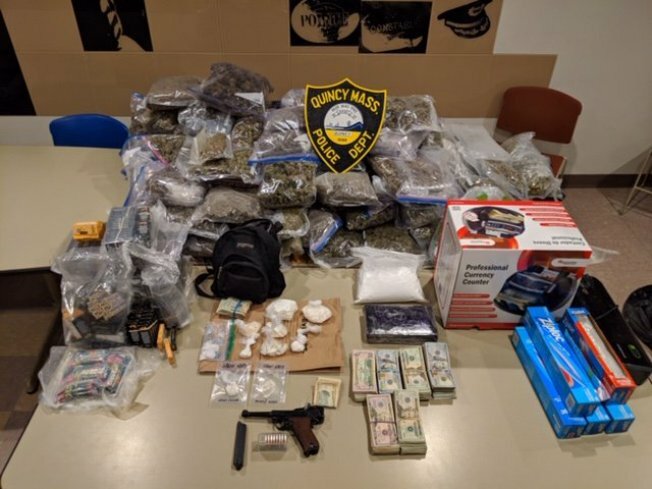 Authorities say they seized more than $300,000 worth of drugs from a Quarry Street residence in Quincy, Massachusetts, on Monday, April 8, 2019. More than $300,000 worth of drugs were seized by police from a Massachusetts home during a warrant search on Monday evening. Authorities say their investigation began just after 6 p.m. Monday, when members of the Quincy Police Drug Control Unit saw what they believed was a drug deal between two men, later identified as identified as 35-year-old Quincy resident Robert Cooley, and 35-year-old Roxbury resident Jeffrey Wilson, between two residences on Quarry Street in Quincy. As a result, police searched Wilson's car and found just under a gram of crack cocaine. Detectives then applied for a warrant for an apartment on Quarry Street, which was granted. Around 11 p.m., authorities searched the residence and found 77 bags of "a leafy green substance believed to be marijuana" weighing over 50 pounds; more than 2,000 grams of cocaine; 50 THC cartridges; and about 20 grams of methamphetamine. Altogether, the drugs are estimated to be worth about $327,000. In addition to the illicit substances, officials also found approximately $30,000 in cash, a .22 caliber Erma AA firearm and 38 rounds of ammunition. The two men were arrested. Cooley has been charged with several drug trafficking and illegal posession of fire arm offenses. 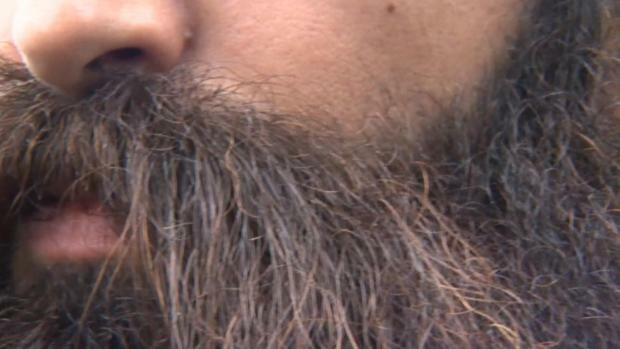 Wilson has been charged with posession to distribute as well as impeding a police investigation. Both men are expected to be arraigned Tuesday in Quincy District Court. It is unclear whether they have a lawyer.